The Ravellenic Games = awesomeness! But what do you do? How do you participate? 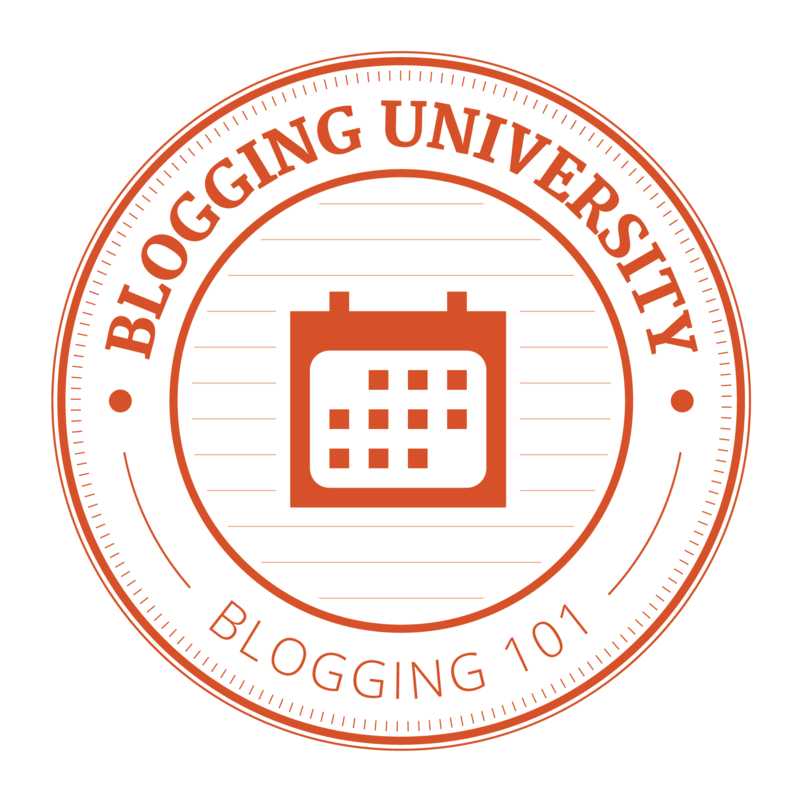 This list of FAQs will help you navigate the waters and have a fabulous time. The Ravellenic Games?? 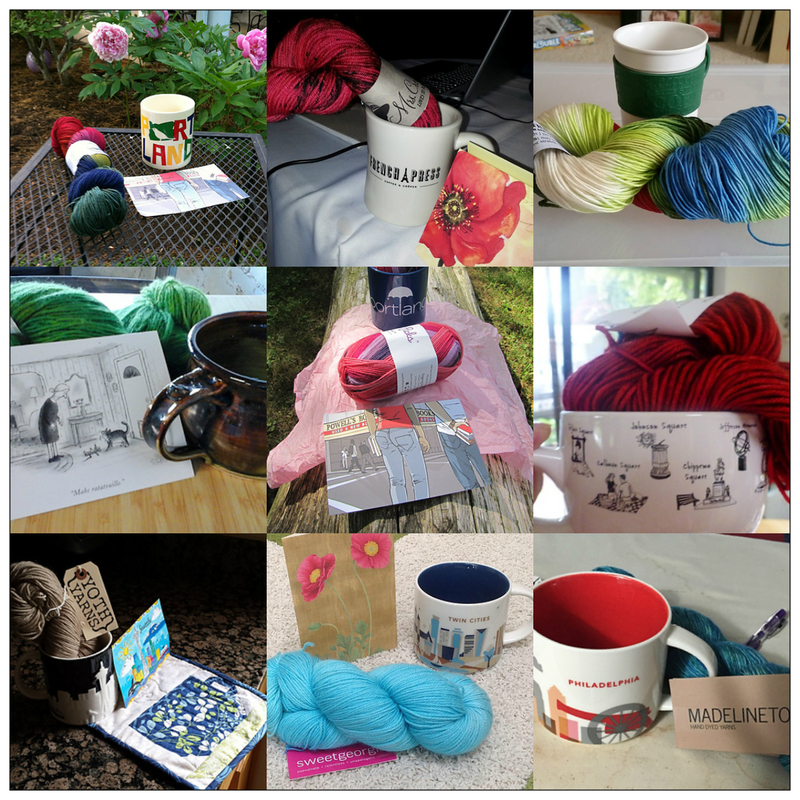 In a nutshell, Ravelry members have organized a site-wide knit-a-long that takes place during the Olympics. This thread is home to the 2016 Ravellenic Games. Cast-on occurs during the Opening Ceremonies (or any time thereafter), and projects must be completed by the Closing Ceremonies. There are events (categories of projects) and laurels (types of techniques). When you complete and post your project as directed, you will receive virtual awards and laurels, which you can proudly display on your project page and/or your profile. When is the event? Friday, August 5 starting at 19:15 in Rio’s time zone (BRT) through Sunday, August 21 at 23:59 (BRT). If I’m looking at the time zone converter correctly, that means I can cast on at 15:15 here in the Pacific Time Zone. What are the rules? The rules are to pick a project that will challenge you, and to have fun! Do I have to watch the Olympics to participate? No, not at all. Do I have to be on a team? No, you can be a participant without a team. Can I be on more than one team? Yes. The rule is that each project must be associated with no more than one team. Why would I want to be on a team? A team is like a virtual knit night. We will exclaim over your projects, cheer you on if you falter, and dance a happy dance when you cross the finish line. Why would I want to be on Team Knit Equals Joy? We are really good at the above! And we have prizes! Read more below. How do I join Team Knit Equals Joy? Our team thread is here. You can post and say you are joining, or just join the conversation at any time. 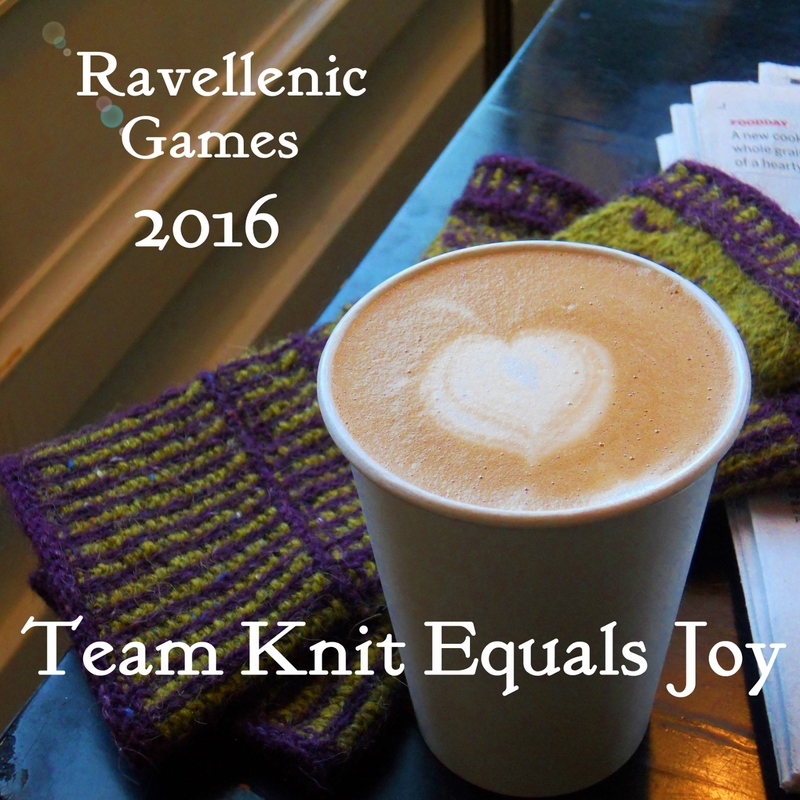 Tagging your project with ravellenics2016 and teamknitequalsjoy2016 will automatically list you as one of our ravthletes. What about prizes? We already have a queue of physical prizes like yarn, project bags and the like for our team. Prizes will be awarded at the end of the Games via random number generator and will be chosen from our team’s finished projects. We have a thread here with more detail and where we will post our finished objects. What if I have questions? Post them in the team thread, send me a private message on Ravelry, or ask below. If you are reading this, you are invited to join Team Knits Equals Joy. I hope that you will consider it. We have so much fun, and an event like this really does provide a lot of inspiration, incentive and encouragement to learn a new technique, finish a languishing WIP (work in progress), or even to frog something you never are going to make and free up that yarn for something else. Next Post The Queen’s Spa Cloth! I hope you can! It really is so much fun! I’m really excited. This is the first time ever I’m participating since I’ve joined Ravelry in 2009. And I love being on your team. Bought The Wayfarer Hat pattern and even found some yarn for it.